The idea that ICT facilitated and evidence-informed policymaking strengthens governance and improves service delivery is gaining momentum in the development discourse. In a first of its kind seminar held in Peshawar, solutions to removing governance and service delivery bottlenecks were presented and debated. Sessions on state capability, urban planning and growth opportunities of CPEC brought together researchers, policymakers, donors, civil society representatives. The seminar, a collaboration between KP Planning and Development Department and CDPR and supported by the IGC, showcased KP-based research funded by the IGC. KP relevant policy research completed elsewhere in Pakistan was also presented. Zia Mehmood, a researcher with the World Bank, presented his team’s work on the use of ICT in the livestock sector. Artificial Insemination (AI) technicians, employees of Punjab’s Livestock Department, were asked to upload their visits to farmers for impregnating their livestock to a central dashboard. The details of the visits were recorded via a smartphone based application installed on their phones. This intervention improved the success rates of insemination by an average of 27 percent. The rankings of the AIs were also visible to farmers that chose to opt more for government than private service providers. The use of ICT to improve governance and service delivery is demonstrated in health and school education as well. A recent study, ‘Monitoring the Monitors’discussed at Peshawar seminar by Zia Mehmood, reveals how IT-based interventions improve attendance of health officials in Punjab. 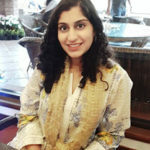 Sahar Asad, LUMS, presented the findings of ongoing research on KP school education that she is doing along with a team of international researchers. The study uses ICT tools to strengthen school inspections and linking teacher promotions and postings to learning outcomes of students. Senior Officers of KP education department emphasized their keen interest in scaling up the ICT techniques of the study in all districts. Oriana Bandiera, Professor of Economics at LSE, shed light, via a recorded presentation, on the benefits of improving procurement processes in government departments. An intervention she had helped design showed how appropriate incentives (in the form of a reward or autonomy) to procurement officers in Punjab resulted in 17 percent less expenditure on the same goods. However, the penalty for using their own discretion, even for procuring low prices, resulted in demotivation and inefficiency. The online procurement system developed by the team is now being used across Punjab’s departments in all districts. While showing enthusiasm for using ICT-based solutions to improving governance, KP’s Finance Secretary, Shakeel Qadir, argued that existing organisational structures need to be well-understood before introducing such interventions. Faisal Bari, Director IDEAS, added that without reforms of archaic bureaucratic structures, human agency or discretion is rendered ineffective for successful service delivery and use of ICT. Women’s mobility and subsequently their representation in the labour force is restricted in cities due to patriarchal norms that discourage men and women to travel in close proximity and harassment on public transport systems. Uzair Junaid, a researcher based at Center of Economic Research Pakistan (CERP), presented his team’s research on understanding the impact of improving women’s access to public transport on their economic participation. Findings of the study confirm women’s desire to work even though few are able to do so. Enhanced safety measures for women including the induction of trained women police at bus stops and provision of women-only conveyance can be some simple solutions. KP’s Transport Secretary, Kamran Rehman Khan mentioned the province was soon starting a women-only public bus service. Dr. Anjum Altaf, Former Dean at LUMS, added that while it is imperative to design mass transit projects like the Bus Rapid Transit and expressways based on evidence, informed interventions alone will not be adequate to counteract women’s safety issues unless culture and societal impediments are also addressed. Census 2017 confirms KP’s cities have grown faster than the rest of Pakistan’s. Cities grow through agglomeration as discussed in KP’s growth strategy. Extending this discussion, CDPR fellow Suleman Ghani, argued that KP’s urban planning should also address the proposed integration of FATA with the province. For successful economic integration, KP regulations must be uniformly implemented in FATA as well. Businesses grow faster via agglomeration of complementary services in close proximity. An on-going study in Peshawar is piloting an inner city census by gathering data on economic activity. A better understanding of the forms, patterns and geographic linkages of inner-city businesses with the rest of the city and region can help identify obstacles faced by businesses. This emphasizes the need to base decisions about major infrastructure projects on business needs instead of just political concerns. KP Additional Chief Secretary Shahzad Bangash, stressed that cities can become drivers of growth if they offer a clean environment, ease of doing business and a sound legal framework to attract investors. KP can benefit from CPEC as it offers North-South connectivity for regional trade, a role KP had played very well in the past. The province can benefit from business-to-business opportunities with Chinese businessmen if a framework for facilitating business is devised. Hasaan Khawar, a CDPR fellow, explained growth opportunities on offer by CPEC in agri-trade sector and its potential impact on alleviating rural poverty. Former Governor SBP, Dr. Ishrat Hussain, pointed out several interventions that would enhance the benefits of CPEC for KP. These include infrastructure development – a roadwork linking to Karakorum Highway, energy projects – particularly hydro projects – and industrial zones along the western route – as joint ventures. Information gaps and weak coordination across economic institutions and provincial departments also limits exploitation of CPEC-related economic growth opportunities. A focus on institutional building as part of KP’s evolving growth strategy, discussed by Syed Zafar Ali Shah, KP’s Secretary of Higher Education, is an attempt to address these concerns. KP’s Information Secretary Qaiser Alam added that CPEC has necessitated a revision in the role of the provinces Information Department. The department will now not only focus on dissemination but also soliciting feedback from citizens. KP Additional Chief Secretary Shahzad Bangash emphasized the importance of future collaboration with researchers and partners to help devise a new development strategy (in light of the CPEC opportunity) for the province by the end of 2018 especially in areas of urban planning, employment generation and tourism. Other areas of IGC and CDPR support include strengthening the Information Department in formulating a new communication strategy, and developing a plan for the potential integration of FATA with KP. Frozen food products in Pakistan: marketing and distributional challenges in a developing country.